QUin Helmets are an innovative range of smart helmets geared to take safety to the next level. Whether it's a casual getaway on the highway or a competitive race on the track, Quin helmets provide the best comfort and safety, unparalleled by its peers. Technology that doesn't interrupt design. Say goodbye to bulky, underperforming add-on devices and say hello to seamlessly integrated, invisible smart technology that works for you. Speed. Engineering. Design. Culture. Every motorcyclist pursues their passion, for one or all of these things. The quin helmet is designed to give you all of it. 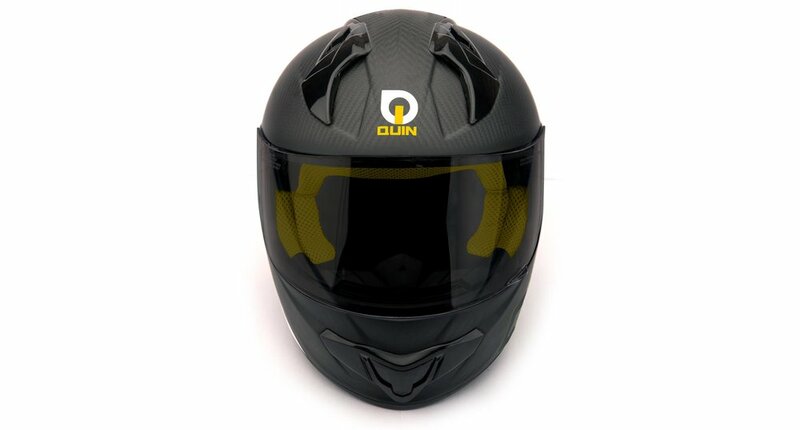 Quin Helmets give you modern, no-nonsense safety. Just like the great helmet inventors of the 1930's-1970's, we have only one main inspiration: Safety. Quin Helmets deliver unparalleled performance for the modern rider, providing essential and practical technology with flawless integration. Feel traditional, ride safer. Some people just "have it" - the quintessence of cool. These people are the Quintemen. Quintemen are regular people, champion racers, engineers, collectors, tinkerers, dreamers, trend-setters, influencers, rebels, traditionalists, city-dwellers, country-folk, men and women. A Quinteman carries the quintessential values of cool that Quin Helmets belives in.